After I built Pirate Ship Ride last year, I've just completed my new project - Free Fall Tower! I always want to construct a minifigure scale thrill ride and make it fully automated model without any manual control or mindstome programming. Spec of the Free Fall Tower: Maximum capcity: 12 minifigures Length: 32 x 32 Studs (not include motor and gear box) Structural Height : 65 cm Drop Height: 54 cm How it works Gear Box serves 3 main functions: 1) Generating pull power It will pull rope which connected passenger car so the car can be lifted up. 2) Looping 2 gear modes First "pull mode" & Second "neutral mode". gear box will keep looping between two modes in a fixed time period. Pull mode will lift up the car and neutral mode will stop giving pull power so the car will drop. 3) Reducing drop speed The main axle connects to a high scale gear. When the car drop, the main axle will make the high scale gear spin really fast and it will generate a reverse force to the main axle for reducing the main axle spin speed. As a result, the drop will slow down. (Just imagine you are playing beyblade) I've submitted it to LEGO IDEAS, if you like my work, please vote: https://ideas.lego.com/projects/a3b37789-0467-4252-9adb-2d7ab44c27a5 Thank you! Everyone remembers galaxy squad. Some liked it, some didn't. But everyone can probably agree that it was our last original,thought out, classic space theme. I liked it, but probably not the kids. At least that's what I suspect, considering the mark downs at Walmart. Because "nooooooo no no no"! Kids didn't want this. They wanted this! "Sigh" So where does that leave us? Stuck buying something like this? So I'm thinking "If kids want Star Wars, why not make sets aimed towards adults?" Creator Expert Series anyone? Why not make a $100 to $500 dollar classic space for AFOL? What do you think? This topic is for showcasing OTHER's projects on Ideas that you found cool and/or worthy of support. Post and share anything you like as long as the project is not yours. No self promoting of your own project(s). Most importantly? Have fun! Hi all! After the 1st & 2nd wave of collectable minifigs, TLG has filled gaps (and then some ) in the variety of minifigs. But I like to here what you still think is missing! Please post them here and make them detailed like this: Gender: Occupation/print on torso: Type of headgear: Type of facial expression: Color on torso/legs: Accessory: This is not an offical request through the Ambassador program, I just want to get the feel for what we´re missing and possible send a list to TLG! Is LEGO Ideas self-promotion allowed here? Hi, how are you doing? So... just as a future reference point, how do you feel about self-promoting your Ideas submissions on here? Are they allowed, and- more intriguing to me- do you respect them? Is it too desperate/low-brow to you? I've been debating whether I should put any and all my future Ideas submissions on here, I'm curious what you guys think about it? Thanks, I appreciate it! Hi there! I thought I'd start this thread because I figured we all have ideas of BrickHeadz we'd like to see made. Especially with the tease of getting BrickHeadz from TV shows! I personally would love to see some BrickHeadz based on the new POTC movie! Maybe some Minecraft BrickHeadz as well. But with the TV shows idea some Flarrowverse BrickHeadz would be incredible! Anyways there you go, fire off your ideas! 8 Billboards so far... by Humble Bricksmith, on Flickr Over the past year, I've been working on making city billboards, depicting classic LEGO themes. Billboards are a great way to add unique flair and character to any LEGO city or diorama. Without using any printed bricks, it becomes very difficult to create small details without scaling up your creation. I figured that billboards are a good compromise between detail and scale. For anyone interested, check out my Flickr, or support me on LEGO Ideas! Also, you're welcome to download LDD or Studio files of these projects Here. Hello, to anyone who bothers to read this. I have a Lego ideas project called Lego Spinners, and am busy gathering support for it. Am currently at 40 supporters, and have 48 days left. Please help me get to 10000, if I get to 100, I get an extra 365 days (for those of you who don't know how it works). Below is the link: https://ideas.lego.com/projects/604bb1ea-3906-43ea-9d6a-b61dbec0561c Thank you very much for your support! Oh, and please share this with your pals/friends/pets/raptors/co-workers/brick-buddies/etc. Let me know of other places where I could gather support. Seen any great Sci-Fi themed LEGO Ideas projects from others that you would like to share or discuss? Do want any advice or ideas for a Sci-Fi themed project that you would like to submit? 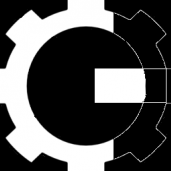 Talk about it all here, where any Ideas project that fits under the context of this subforum (from Steampunk to Cyberpunk to the final frontier and beyond) is game! Please, no self promotion of your own Ideas projects, only discussion of others submissions. Valerie Roche, one of the creators of the awesome Lego Ideas Saturn V appears to have a new project submitted. 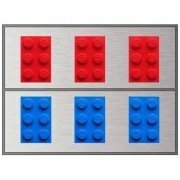 I found this by accident today and wanted to make sure fans of Lego space projects got support it; From the Ideas description: This collaborative project was created by “Saturn V Lego set” co-designer Valerie Roche (Whatsuptoday) and her “SpaceX – The Ultimate Collection” Co-Designer Matthew Nolan, along with fellow Lego fan designer Mark Nolan. It looks fantastic! Check it out! https://ideas.lego.com/projects/5199f8dc-34ad-492a-91e2-0008c8e37f81 Check it out!!! Pop-Up Book was approved and will be become an official LEGO set! Crash Bandicoot has been a videogame icon for over two decades. The orange marsupial jumped, smashed, and spun his way onto the Playstation when I was a kid, and I have loved the character ever since. I remember spending hours playing through all three original games, as well as getting friends together to play Crash Bash and Crash Team Racing. Crash features 27 points of articulation, including a swiveling waist, adjustable ears, and tweakable eyebrows. While Crash is very flexible, he is also quite sturdy. This is thanks to a carefuly selected choice of joint elemenents ranging from socket click hinges to large and small ball joints. The part count for Crash rings up at exactly 800 elements! Thank you for taking the time to check out my model! If you would like to see more photos, I have them up on my Flickr page. If you would like to see this potentially become an official LEGO Set, please support my project on LEGO Ideas. If You Were to Helm a Cinematic Universe, Reboot, or Adaptation, How Would You Direct It? If there a Cinematic Universe based upon a particular franchise you'd like to see adapted, or aren't pleased with the direction it is currently going? Is there a book, graphic novel, or series of novels you'd love to see come to the big screen? Is there a movie you think deserves a new remake or reimagining? Is there a cinematic adaptation of a certain source material you think would perhaps instead be better suited for the small screen, as a TV show or Mini-Series? If you have any better ideas on how Hollywood can handle adapting some of your favorite books, movies, graphic novels, videogames, and more, these are only a few questions to help express your opinions on what you would do instead!